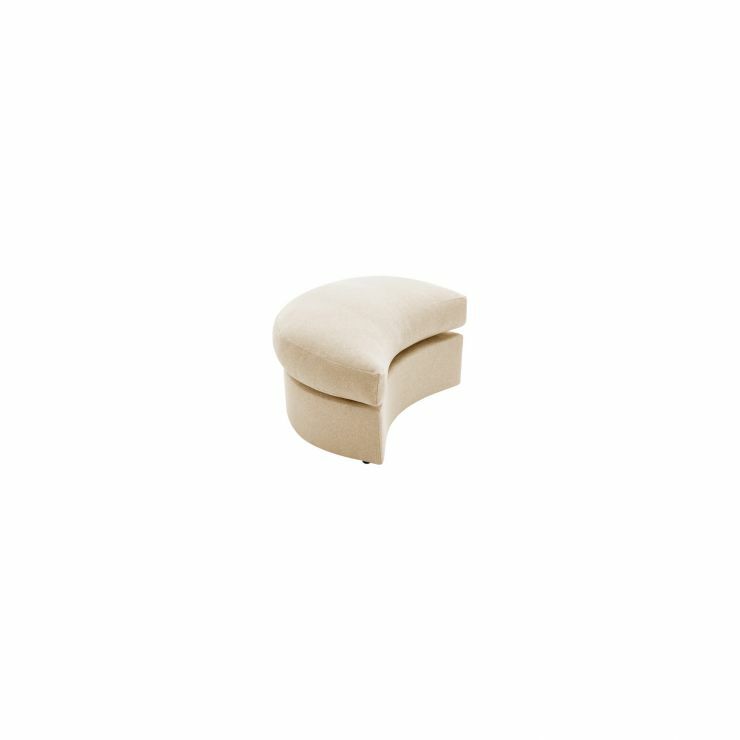 The Maddox Twist footstool in Eleanor Beige promises to bring style and functionality to your home. Designed in a modern crescent shape, it pairs perfectly with the Maddox Twist armchair – use it to enjoy ultimate comfort when lounging in front of the TV or reading a book then tuck it at the base of the armchair to save space when you’re not using it. Comfortable and contemporary, it completes the Maddox Twist look and provides the ultimate place to relax in your living room.